Brit Boy and I had another trip into London on Wednesday for our only true addiction….going to concerts. LOL. We went to see Simply Red. They are going to disband sometime next year, after 25 years by that point, so we just had to go and see them do their thing. 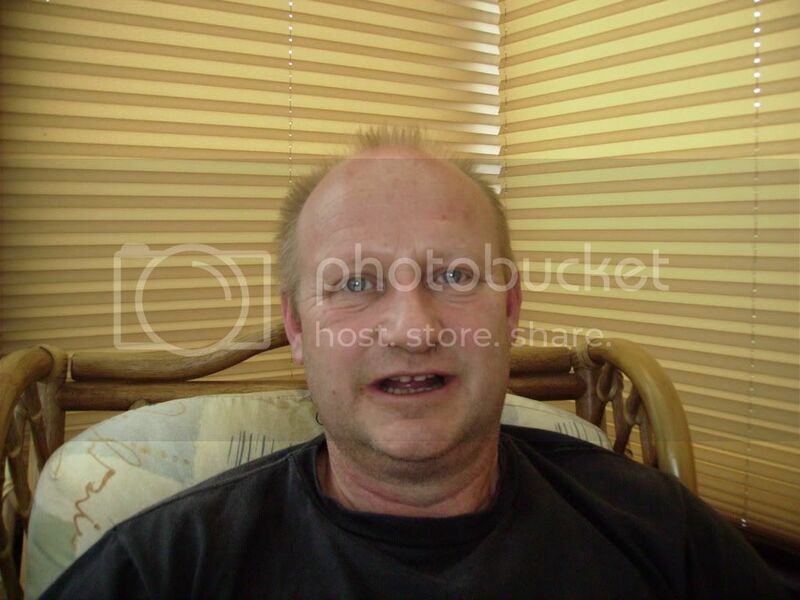 The lead singer Mick Hucknall, will still record as a solo artist. We got home Thursday at about 2:30am, so I spent yesterday chilling and we got some rest and relived it in our heads. Now I can share what happened. It’s always thrilling to get a chance to go into London and going to a concert makes it even more fun. On Wednesday, Brit Boy worked a half day and then he came home around noon. We had a bit of lunch, watched a bit of TV, and then we got all suited up to go out into the cold on the way to a hot time in the city :-) It has been very cold here lately, but then it’s winter isn’t it. Anyway, we took our faithful old coach/bus ride into London. There’s a company that runs trips to London and mostly everywhere around Britain that we usually take. You can either buy your own tickets and then just catch a ride to and from the concert with them or you can get a package deal and they get the tickets and give you the ride. We have done both things, but this time, we took the second option and got our tickets from the coach company. The perk with this is that they usually get you pretty good seats to the concerts. It’s a win win situation. So we headed into town and parked our car and headed to our pickup point for the coach. When you get to the coach and check in, they give you an envelope with your tickets inside and you hop aboard. This time we got a seat right at the front, so we had full view of where we were headed. This was both thrilling and a bit terrifying. It was really cool to be able to see everything and to feel almost like we were being hurled through the air. The big window was all that was in front of us so it felt almost like flying and this was fun. But it also got a bit hairy at times because our coach driver had a lead foot and tailgated and switch lanes a bit wildly :-) Brit Boy and I both thought a couple of times that we might just be thrown right out of that big, lovely window in front of us and onto the motorway/freeway as the coach driver slammed on the brakes many times. Eeeek!!! Let’s just say, our hearts were in our mouths for about 60% of the trip :-) We survived and felt like kissing the ground when we stepped off the coach. LOL. On a calmer note, when I peeled my eyes away from what was happening ahead of us, I would glance out the side window and the view was wonderful. You can see so much from that high up. I’ve traveled that road many times to London, but from this vantage point, it was like seeing parts of it for the first time. I saw streams that were hidden in the woods and beautiful country houses that I didn’t know were there. When we were almost there, the coach stopped for a bathroom and refreshment break at a rest stop. We were given about thirty minutes. Brit Boy and I went and had a cup of coffee. I had a coffee that was chocolate cookie flavored. It was really tasty. Brit Boy had a regular cappuccino. We stopped at this same rest stop on a trip before, and had fun playing with the various carnival-esque machines there. This time we didn’t bother. The machines are right near the entrance and the freezing air was whooshing in each time the doors opened. The time before, it was summer so it was lots of fun, and there were no icicles hanging off of us :-) The time passed quickly and we were all back onto the coach to finish the journey. About thirty minutes later, we arrived at the O2. As I’ve mentioned before, it’s a cool venue. It is on the Greenwich Peninsula and sits right on the edge of the River Thames. It was formerly known as the Millenium Dome. It sits there beautifully with the lights of Canary Wharf in the background. London is a fun spot at night. It has a groovy vibe. Brit Boy and I walked along with a spring in our step…we were heading to our favorite thing…music!!!! :-) As we walked along the walkway to the complex, we noticed that they had a small Christmas market. Here’s a photo of the little castle they had set up. On from that, they had a few stalls set up. We didn’t really linger for very long because it was an icy cold night and the breeze off the river was positively bone chilling. I knew that it was cold because Brit Boy, who is usually always hot, was running towards the building to get away from the cold (smile). Now that’s cold!!! So we scampered on inside. The O2 was decked out for Christmas. One of my favorite things is the huge light fixture that hangs in the entry area. It is usually white or blue, but this time it had a colorful strobe going on. We walked around the outer ring of the arena, where all of the restaurants and clubs are…great people watching. Everything was even more sparkly than usual with all of the holiday cheer being spread around. 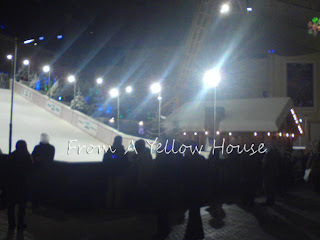 They had a snowboarding/sledding area set up and kids from 8 to 80 were having a go at it. I would have loved to, but the line was long. Here’s a photo though with the little chalet to the side. The photo is kinda blurry, but you can get the idea. Brit Boy and I took the photos on his cell phone and it was kind of chilly still, so our hands were shaking a bit. LOL. 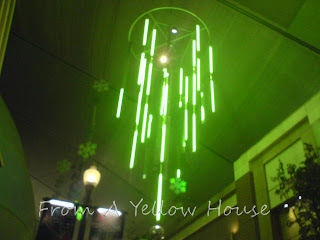 They also had special ornamental lights hung around the place. Here’s a pretty sparkly one. 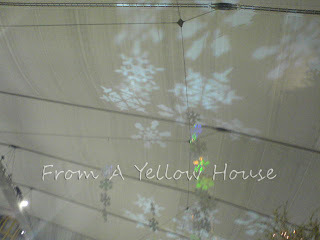 And they were projecting snowflakes onto the roof and it created a great wintry atmosphere. Here’s a look. They performed all of their hits and we loved it, including our favorite, “Holding Back the Years”. It brought tears to my eyes because his voice just soared to the heavens and as I’ve gone through my life, the words of that song just hit me deep. The part of the lyrics where he sings “I’ve wasted all my tears…wasted all those years”, it just means more to me as I go through my life. It makes me think that time waits for no one and sometimes you just have to let go and make room in your heart and you don’t want to look back at the end and see that all you did was mourn and regret your life away. This song helped me a lot when my mom passed away. In the beginning it made me cry of course, but as time went on, it became a salve of sorts and it made me see the greater picture of my life and the broad span of my mom’s life too and her legacy. The great restorative power of music has always been a comfort to me. After the concert, we headed back to the coach and strapped ourselves in for the “adventurous” ride home ;-) Let’s just say, thankfully it was dark, so we couldn’t see enough to be scared. LOL. But we survived the trip thankfully and it was worth it in the end because we had a great night! The coach driver took the scenic route through Central London so we got a nice ride through the city, all decked out in its Christmas finery. What a cool night in more ways than one! Wow what an experience. Being a fan of Mick's music myself it was good to see others appreciating the magic voice he has. Seemingly not dimmed with age. Thank you for sharing your moments here, it was like being at the concert reading it. I'll keep an eye on them, maybe they'll be in Cleveland. They are a fantastic 80's band. Sounds Like a Great Time was had by ALL. 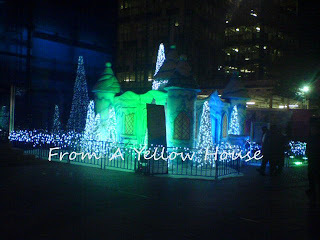 Londons' lights are magical in the holiday season, yes. nice photos, and thanks for the video flash, I love the Reds. thanks for the video.I have enjoyed listening to simply read.I have 2 tunes that are my favs Holdong bact the tears ans Lady in red. That looks so amazing and sounds like so much fun. I love Simply Red! I would love to visit England! You are so lucky!!! Thank goodness you survived the coach ride! Whoa! What a ride. I enjoyed the whole experience from start to finish! Yes...Mick's voice is definitely timeless. Now, that was a nice night out on the town. Great pics, and it sounds like a wonderful way to spend some time! I had no idea that Simply Red has been together that long! Where does the time go? I had so much fun reading about your experiences. I'd have been scared on the bus too. The concert sounds absolutely amazing and I'm glad you got a chance to go. What memories you will have this year from all the wonderful concerts you were able to attend. I love these descriptive posts -- I almost feel like I was there with you! Glad you enjoyed your concert. Mick Hucknall is a fantastic artist and I would love to see him live myself. Sorry about the scary coach ride! The photos are great! It sounds like you had an amazing time! I am an 80's girl so I remember Simply Red from the beginning. Thanks Dori, my head still hurts, but I think it will be better after school is over. big sigh. anyway, it sounds like you had a good time in London! The bus ride was an experience within itself :) You are right, the memories of the concerts we've seen this year and last will always be special to me. I'm so glad that I made it vivid for you :) This makes me feel good coming from a fab writer like you. That was quite a trip. I like the fact that you can take a coach and don't have to drive into London. That would be the way I would do it. I'm glad you got to see Simply Red in concert. Oh, I love Simply Red. I didn't know they were separating next year. Wish they had more dates in the US, they only have two over here. Sigh. Thanks for sharing the experience here and for the link to the song, it really is great! Yeah, they are separating this year. It's a shame they won't do more US dates. Maybe they will add some more, so that you can go. I hope so :-) I'm glad you enjoyed the video.